Land Speed Racers are looking forward to good weather and salt conditions for the upcoming 2017 Bonneville Salt Flats racing season. The following is brief status report on advocacy efforts. 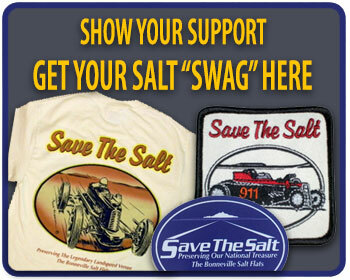 The website: www.savethesalt.org has been updated and relaunched. It contains a wealth of important material that continues to grow. We encourage everyone to explore the site and share with others. Bonneville has a new weather station installed in the old location, but with new fence and gate. It can be found east of the turn in the Salduro Dike, approximately ¾ mile due east of the east dike breach. It lies between the CY13 Short Course #3 and the CY13 Rookie Course # 4. Note: In the lower left-side menu bar on the BFLAT weather station page, below MORE INFO, clicking on “Station Information” will open a page with photos and maps. A digital camera with an Internet link allowing for remote viewing will be added once the playa has dried up enough to make the needed fieldwork and installation possible. We will post an alert when the camera goes live. Intrepid began pumping salt brine around February 1 and planned to pump at least 45 days. The goal was to reach last season’s amount of a bit less than 600,000 tons of salt. We should have estimated totals soon. Everyone is eager to know what is happening on our efforts to save Bonneville. 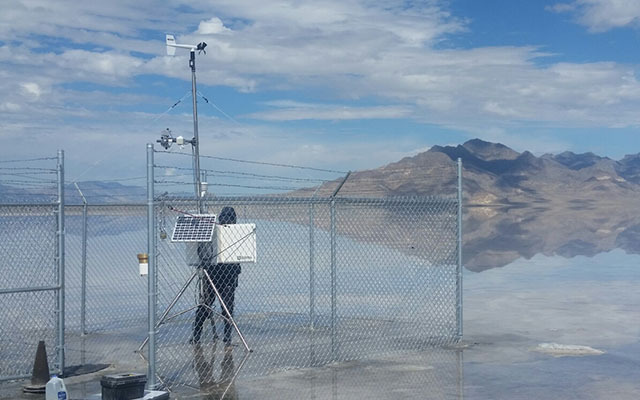 Due, in part, to the significant changes brought about by the Nov 2016 elections, our strategy for restoring the salt flats has necessarily changed. We believe that there is a unique opportunity to work collaboratively with Intrepid Potash to increase and improve salt lay down and jointly seek legislation to help make that happen. Save the Salt representatives have been in close regular communication with Intrepid Potash Corp. executives and management. A new aggressive effort to find collaborative solutions to improve and increase the salt lay down project has been underway since December 2016. Intrepid has been very receptive to our outreach and is willing to work with us. The new and improved relationship with the mine operator is beginning to bear fruit and we expect that progress will continue to be made. We hope to be able to release the details of our improved plan and related federal and potential state legislation sometime this summer. 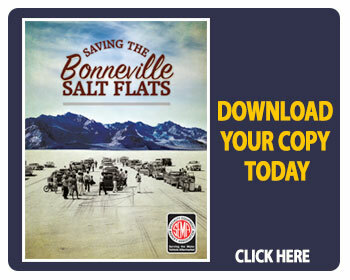 We all recognize the urgency to restore Bonneville. We ask the racing community to continue its patience with this process. Please, respect the sensitive nature of our relationship with the mine operator, and allow our organization the time and space that is needed to work with all parties to create improved and effective solutions to the problem. We are also taking this opportunity to express appreciation that even though potash production has been down over the past few years the mine operator is doing its best to maintain their agreement to lay down salt. There is a direct relationship between weather, potash production and available salt.